The study of certain crucial periods of history has been omitted from conventional education, and the method of studying history itself often lacks meaning. By studying these events in a way that emphasizes both the social event and the characters in it, the Lady Aisha College provides illumination and context, allowing the young woman a much broader and in-depth understanding of her present. The history of Rome contains within it the matrix of Western civilization, and the study and contemplation of it is thus an essential key to understanding the society in which we live today. 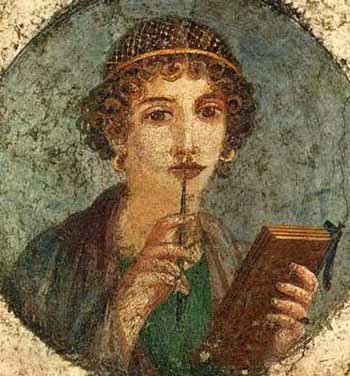 Through looking at key figures in Ancient Rome, we see the way in which women had great influence over the outcome of events and were active participants in politics. We focus on the role of the Roman matron which allows us an enriching insight into her time, as well as a window onto understanding ourselves today. An additional class, ‘Greek Mythology’, is offered to further provide an understanding of this civilization. This course consists of an in-depth study of the book Defence against Disaster by Qadi Abu Bakr ibn al-‘Arabi. The intention is to illuminate what happened during the Fitnat al-Kubra, the first civil war of the Muslim Community, as well as its historical resonance. We concentrate especially on the role of Sayyidetuna ‘Aisha, may Allah be pleased with her. This course is taken at the end of the year, by which time the students have acquired the knowledge and discrimination necessary to broach this defining political event in the history of Islam. This course explores the significant role that Princess Amalia Elisabeth (1602-1651) played in the Thirty Years War. As regent of Hesse-Cassel she showed an iron determination to honour her late husband’s legacy, protect the birthright of her children and strengthen the Calvinist church. She played a pivotal role in the last decade of the war and was responsible for the form and character of the treaty that ended it, and so for the future religious and constitutional makeup of the German empire.